Hear how you can view 10 centuries of architecture when you walk along the Coronation Way in Old Town Prague. Then learn about Portugal's sunny Algarve coast, once believed to be the end of the world. And perhaps get inspired to try life on the road by author Christina Nealson, who describes her RV-fueled explorations of the back roads of the American West. 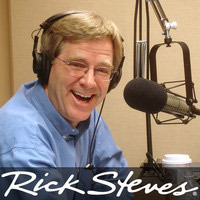 Rick Steves' travel guide to Prague. Strahov Monastery offers a prime view of Prague, as well as being a major attraction itself. The caller in this week's program extra describes using a Czech-based company, P.A.T.H. Finders, to research his family lineage there. Rick Steves' travel guide to Portugal's Algarve region. Lonely Planet posts a list of top things to do in the Algarve. Kevin Gould writes in The Guardian about walking to Land's End in the Algarve. Tips for visiting the town of Salema in the Algarve, including transportation options. The Costa Vicentina Natural Park provides more than 100km of coastline access. Evora is an atmospheric inland medieval town. Christina Nealson blogs about her latest adventures in the San Juan islands and the Skagit Valley of Washington State.